Recent data states that there are over 10.5 million commercial trucks registered in the United States. The Federal Motor Carrier Safety Administration (FMCSA) is in charge of regulating all commercial vehicles that operate interstate and all vehicles carrying hazardous cargo. It is the group’s job to identify trucks that are not safe to operate on the road and ensure that proper repairs are made before the vehicles join traffic again. The National Transportation Safety Board (NTSB) has long recommended changes to the current system employed by the FMCSA to fulfill this duty. Recently, the FMCSA proposed a new rule that would change the system, allowing for more inspections and offering clear guidelines. These seven areas are known as Behavior Analysis and Safety Improvement Categories (BASICS). The current system calculates a quantifiable measure in each category for each carrier, and it compares carriers with similar numbers of safety events. The carriers are then ranked from 0–100, with a higher percentile equivalent to a worse safety rating. If a motor carrier has been involved in a serious violation in the past 12 months, those violations will also be taken into account. The rankings are determined compared to the similar carriers. Finally, carriers are labeled in one of three categories: satisfactory, conditional and unsatisfactory. 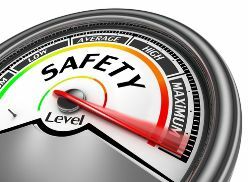 The safety ratings would be changed to either fit or unfit. Any carrier deemed unfit would be removed from operation until appropriate changes were made. Fixed measures would be used to determine fitness. Carriers would no longer be compared to other carriers. It would hold carriers to a higher data sufficiency standard the current system. Officials from the FMCSA said they hope this new rule will be adopted and reduce the number of incidents involving unsafe trucks. The rule could go into effect by 2019. When unfit trucks take the road, devastating accidents can result. If you or someone you love has suffered injuries in a truck accident, you may be entitled to make a claim. Take a moment to fill out our online contact form to have your questions answered by a member of the experienced legal team at the Morris James Personal Injury Group.